Summer, sea and romance, hidden in a few not so obvious places which capture nicely the spirit of St. Vlas. You know how the ETARA complex comes out on a small beach at its front. The place is calm, and the most noticeable sound is the waves breaking onto the rocky bridge below. From here a panoramic path begins its ascent up the hill, connecting this part with the large La Playa beach. Some fifty metres up, to the side of the path, stands a single wooden bench facing the entire bay. During the day, the bench is entirely under the hot sun, but still attracts passers-by for infinitely wide-screen photos. 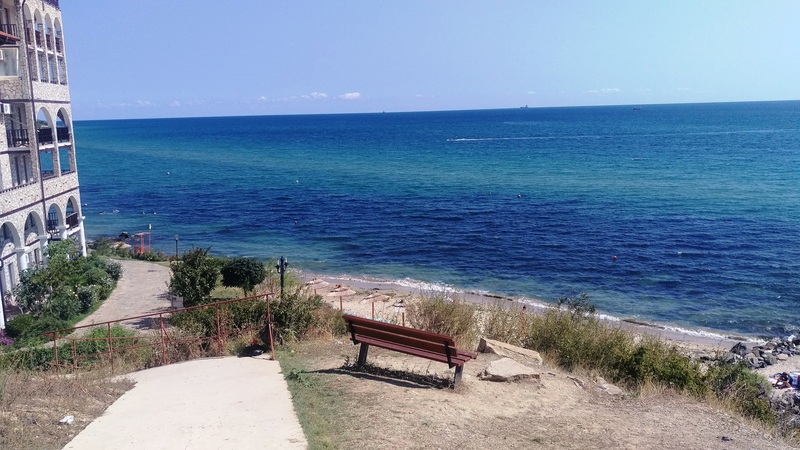 In the evening, the bench is the perfect observation point for the entire bay of Nessebar, a place for communication with the sea and a loved one. We’ve seen couples share a bottle of wine here, others read a book, or just hang out in a silent embrace, sharing a moment of contemplation and intimacy. Close to the bench is the famous restaurant ‘Cactus’ of Chef Manchev, where the romantic mood can linger on, complemented by a delicious sea dish and light music. 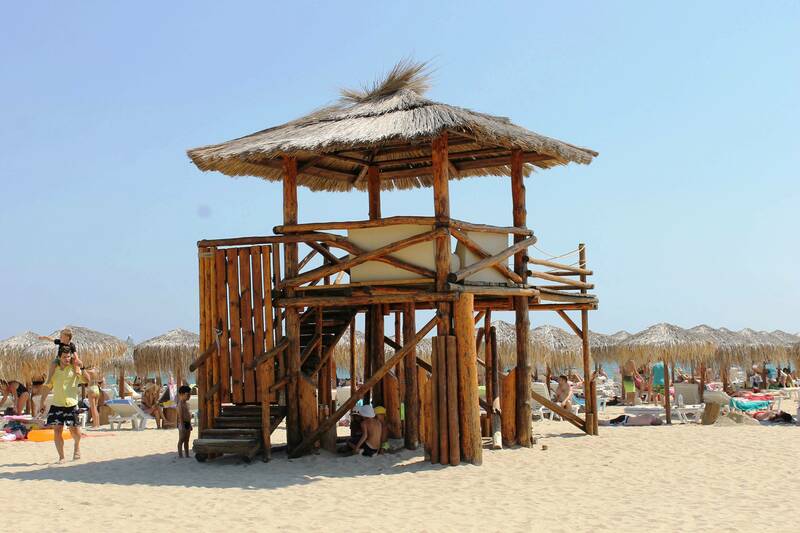 The La Playa beach, or the Caribbean beach, or the beach in front of the complexes ‘Arena’ and ‘Monastery’ – these are the various names for this most preferred beach in St.Vlas. 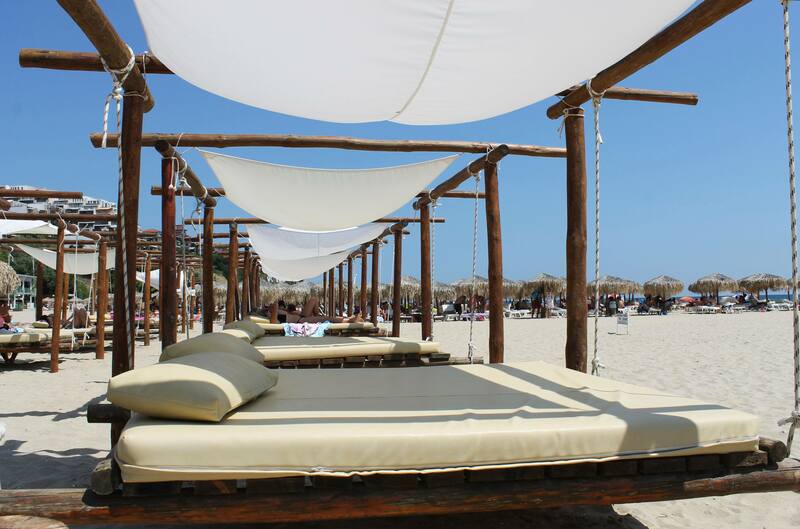 Along with the fern parasols, there are 12 wooden ‘bedroom-loungers’ built as big swings under a moving shade. These ‘bedrooms’ are the choice of guests who feel bored with the traditional parasols and sun loungers on the sand during the day. The comfortable leather mattress of the bedroom can easily accommodate 2-3 people, and if you have children, they can have fun in the nearby children’s playground. After 7pm a walk along the marina promenade in St. Vlas is the perfect start of the evening. The marina is lively all night, restaurants are filled with a varied crowd of people. If you are looking for privacy and still be on the marina, you can turn to the beach, go barefoot in the sand and sit on the beach ‘bedroom’. Refreshing drinks can be purchased from the nearby La Playa Bar. With a little luck the La Playa staff will bring you a hookah. The best you can do now is to swing the bed, listen to the sound of the sea and enjoy the moment. You can also relax here after-party, following a busy evening at the night clubs. There is video surveillance on the beach, of course, but no one will bother you if you just relax and have fun. It actually looks like a high lifeguard point, but really it’s a shaded VIP lounge which rises high above the hot sand. Perfect for a small group to enjoy impressive views of the bay. The structure is built only of natural materials. Sun loungers and sofas sit under a deep, cool shadow on the upper floor. During the day, guests can order drinks and lunch from the beach waiters of the La Veranda restaurant. During the day the lounge is available for hire, the ‘working’ time ends at 6 pm. After that it turns into one of the secret places on the marina in St.Vlas where a couple or a few friends can have privacy and watch how the night life evolves on the marina. We have been here with friends and a guitar, and with a loved one, it’s always special and pleasant. We will come again and we will not be deterred by the small door on the stairs, usually locked now. You will get a similar effect if you go to the upper floor of the new SOUL restaurant at the bottom of the beach. There are no sunbeds here, but the restaurant really takes care of the soul – pleasant drinks and dishes are ideally suited to the view of the sea and the marina, which is unique from this position. A spot to feel the peace and coolness of the summer! That’s right, in the mountains! Because St. Vlas is not only about the sea. For more than five years, the Free Hiking Tour has invited guests to a walking tour of the eco-paths in the forest above the resort. 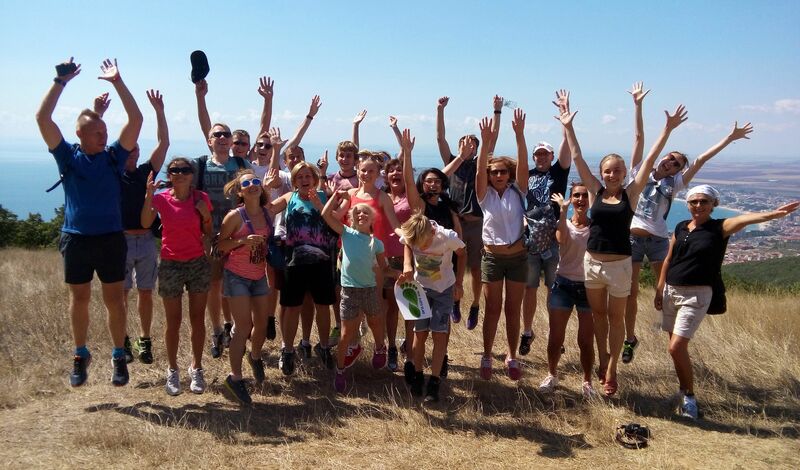 Free Hiking Tour Sveti Vlas is an independent volunteer initiative to inspire people to protect and appreciate nature. Madlen Kuleva is the founder and the guide of the tours. The participants gather every Tuesday and Friday at 8:30 pm in front of the post office in the center of Sveti Vlas and take a 4-hour walk with an average degree of difficulty. The 8-kilometer-long route abounds with different animals, rare plants and breathtaking views. This is an ideal opportunity to meet and interact with interesting people from other countries. Преходът е безплатен. Ако желаят накрая участниците могат да оставят дарение по своя преценка. The 18.5-meter yacht Patriot has a rich history. If it could talk, it would tell some remarkable stories. It was the first yacht of the Dinevi Brothers, brought here from Bodrum. The Patriot was the yacht which, 18 years ago, ignited their passion for sailing. It is one of the reasons behind the construction of the Marina Dinevi and today it is the flagship of the marina. In order to share the spirit of the adventure, the Patriot is offered for daily sea trips around the bay of Nessebar. The sea trip includes a fish-barbecue on board, beverages, beach, karaoke and some salty sea stories told by captains Hristo Rachev – ShaciBG and Hristo Dimitrov. ‘Patriot’ hosts hen parties, bachelor parties, birthdays and weddings, boasting the great views from all of its decks. When it is not in the open sea, the yacht is moored at the Marina Dinevi and tourists can board her to see the cabins, the bridge and the decks. This is the time to rest for a few minutes on the soft mattress on the fourth deck, from where you can see every detail of the marina and the resort above it. Finally, take pictures with the seductive mermaid on the second deck, she is the yacht’s mascot and guardian.